Best Managers and Companies of the Region in 2018! In Sarajevo on July 5 gathered the biggest business elite from 20 countries of Southeast and Central Europe and Sarajevo was that evening the real European center of business! 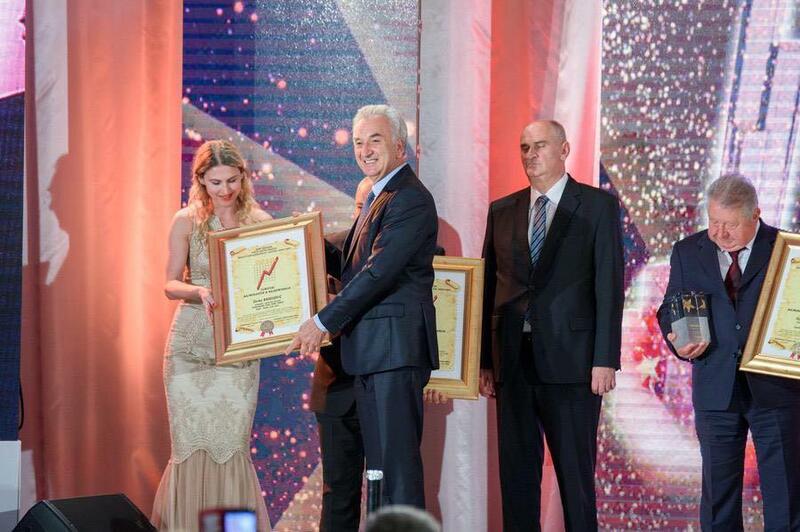 The chairman of this year's European Jury for awarding the best and biggest from business was Mr.Vibor Mulic from Warsaw, a respected and extremely successful businessman from the company Zepter from Poland, the President of Holding with over 130 thousand employees worldwide, who is also the multiple winner of this award. 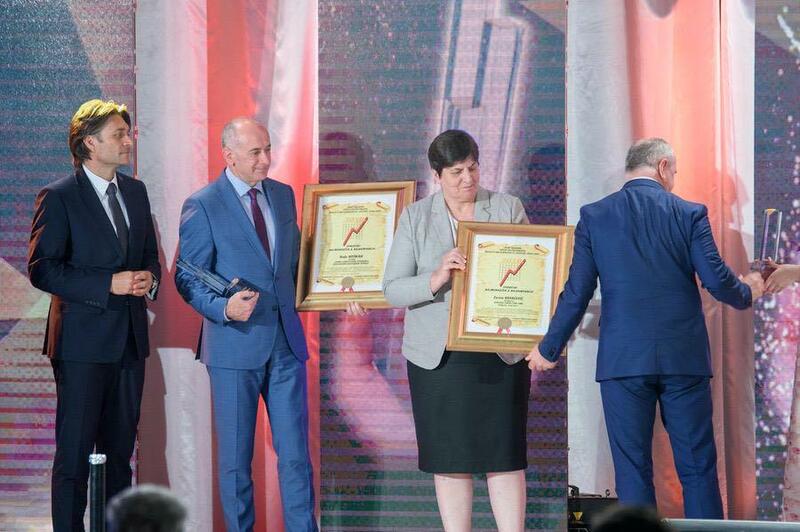 The awarding in fact started in the morning, during the conference "Summit of Successful", because the great award ”Person of the Year from EU countries” was given at the conference to HE. BOYKO BORISSOV, Prime Minister of the Government of Bulgaria! As the President of the European Union he devoted much attention, time and effort to Bosnia and Herzegovina and to the Western Balkans! 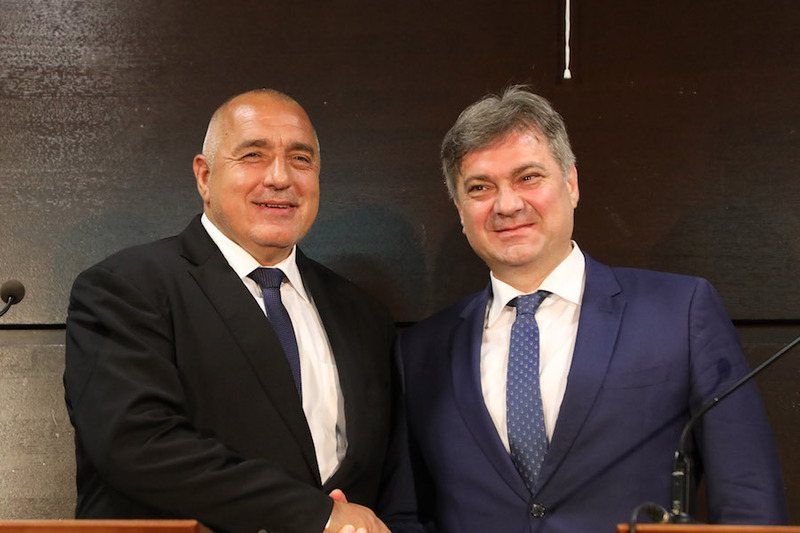 Prime Minister Borissov had to urgently back to Bulgaria and he get the prize at the conference. There he also held talks with our Minister Zvizdic and many managers and gave many interviews to journalists and press. 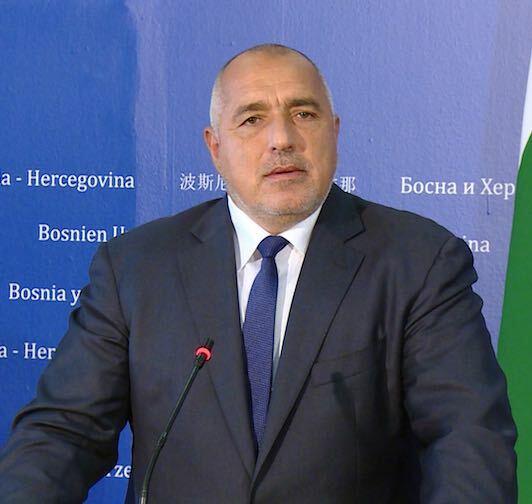 BOYKO BORISSOV, Prime Minister of Bulgaria was born in 1959, and in his biography there are data on an impressive career advancement. He was the founder of one of the biggest security companies in Bulgaria; in 2001 he was appointed as Secretary General of the Bulgarian Ministry of Internal Affairs; he was the mayor of Sofia; he founded the GERB (Citizens for European Progress of Bulgaria), was a member of the Parliament of Bulgaria and the Prime Minister of Bulgaria (2009-2013 , 2014-2017 and 2017 until now). Mr. BORISSOV is a respected creative personality in Europe and beyond. He became a leader with a vision of strengthening the European project and a determined fighter for interests of the Western Balkan countries and their place in the European Union. The first category of Special Awards at the Ceremony was therefore for people from politics and diplomacy, the EUROPEAN PERSON OF YEAR. Out of 27 nominees from several countries in the region that are candidates for EU membership, our Jury unanimously decided to award the biggest prize "The Hero of Our Time" (The Golden Plaque and Crystal Statue) entitled THE EUROPEAN PERSON OF 2018, to a young politician. He is in the world's media the most talked and written about politician today because, together with its partners, he resolves what has been unsettled for 27 years - the dispute with Greece over the name of his state, in order to bring it into NATO and the EU! 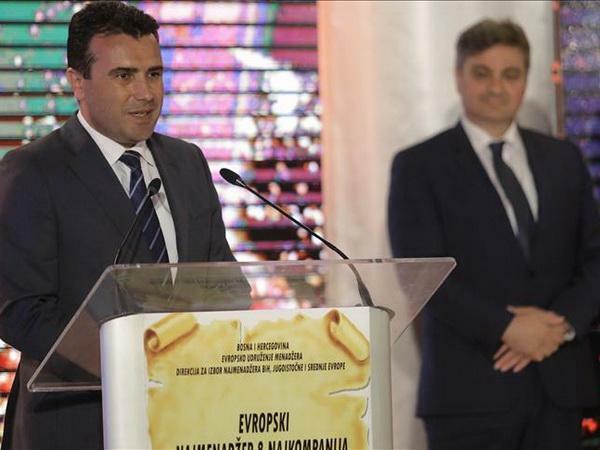 He is a brave, ambitious, persistent, dynamic and capable Prime Minister of Macedonia, a European politician for the present and for the future. 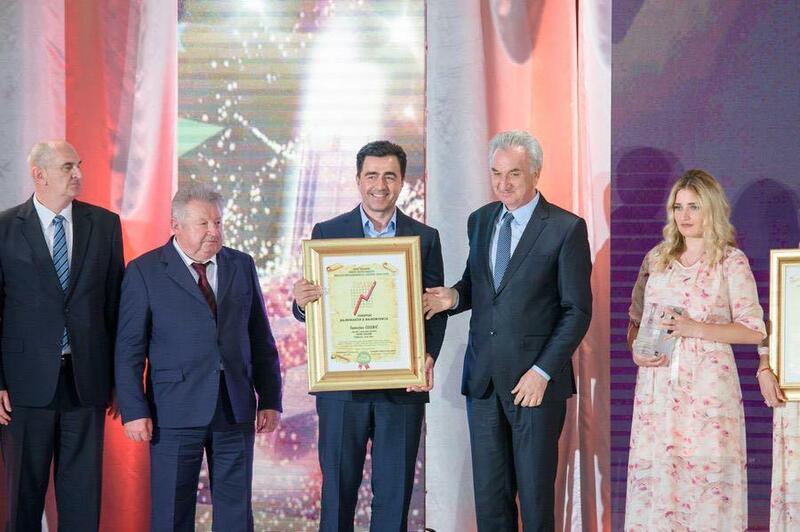 G ZORAN ZAEV, the Prime Minister of Macedonia, succeeded in turning the wheel of history of his country to a future and accelerate in the direction of progress and prosperity in just one year! The award for "Lifetime Achievement in Politics" went into the hands of a man who always chose the right path and who never changed his attitude. And that was always just an attitude in the citizens' interest! This is the man whom we all accepted as our own and, if he was asked, long ago our countries would have been in the EU, in the sphere of progress and better tomorrow. Mr. BOGIC BOGICEVIC is a principled, persistent, a man who always has his own attitude and knows how to build relationships among people. He was the first democratically elected member from B&H of the Presidency of the former Yugoslavia, a participant in the historic session of the Presidency of the SFRY dated March 12, 1991. For his courage and principledness he was awarded the Life's work Award in politics. For Person for past and these years, Person of last and of this century, the person who created their own brand at a time when the word brand here did not even exist; the person who had the fans, when this word was not used, therefore, the biggest award "Person of the Year, but also Person of the Last and This Century" and the millennium, the Jury awarded to Mr. FAHRETA ZIVOJINOVIC - LEPA BRENA. 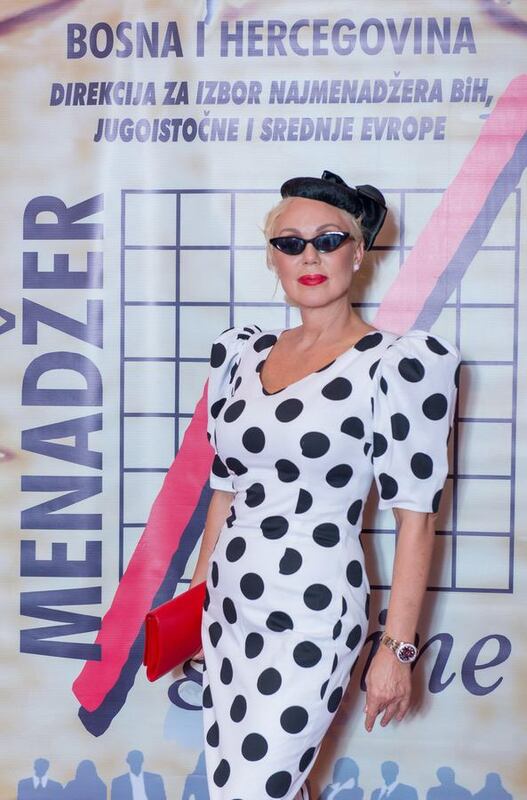 And the reasons for this are several: she binds the hearts and souls of the entire Region, she is a champion and star of art, music and business, women who gives only love to all generations, someone who is the most beautiful link of our former and all our present countries! She was and still is the ambassador of peace, the icon of music before we used that word! Her mission is equal to ours, to connect all people with cooperation and friendship. Brena's song "”Zar je važno da l' se peva ili pjeva?” also describes our motto and motto of this entire manifestation. 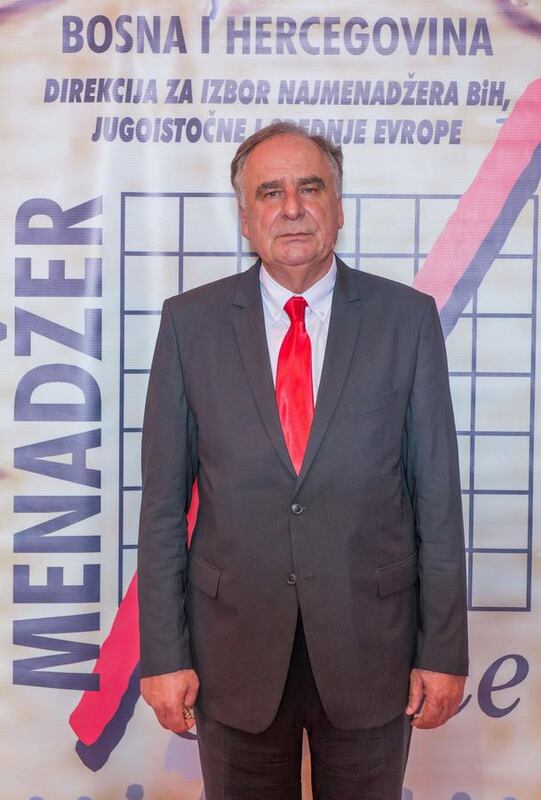 The European best ambassador,(”NAJAMBASADOR”) a reward we introduced 18 years ago in order to reward those diplomats who are working on good communication, creating bridges of friendship and cooperation between states and people and helping to create better political and economic ties between the states, was won by HE. EDWARD FERGUSON, a representative of Her Majesty Queen and the Government of Great Britain. He is an ambassador who definitely stand out from the others with his work and results of work, not only in this but also in previous years and, according to our Jury, he is the best European ambassador in 2018! The commitment of the United Kingdom to our and to all Western Balkan countries is visible in all sectors. 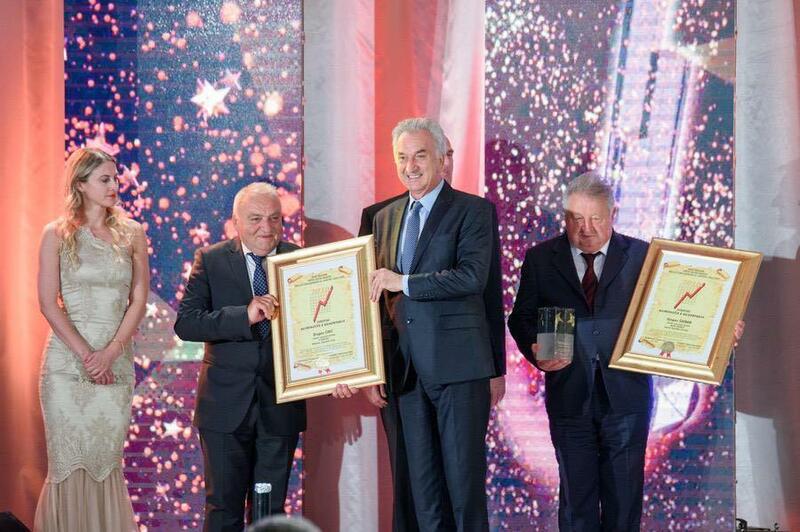 The best European minister (NAJMINISTAR) and parliamentarian is the category with 4 awards, the same as for the Personality of the Year: for EU countries, candidates for the EU, BiH and parliamentarians. The best European Minister or Minister from countries who are candidates for EU, according to our Independent Jury, is professor and doctor of science ZORANA MIHAJLOVIC, Deputy Prime Minister of Serbia. As a politician, she is clearly pro-European and the most clearly reformatory profiled person in the Government of Serbia. Ms. Mihajlovic is a person who has exceptional results in her work, but also looks into the future and progress. Minister Zorana MIHAJLOVIC is very active in improving the status of women and for the social inclusion of as many Roma minorities and she is an outstanding fighter for regional integration and cooperation. It is known to her that she has a solution for every problem. Award THE EUROPEAN MINISTER AND THE PERSON OF 2018 was therefore deserved by Ms. Zorana Mihajlovic. 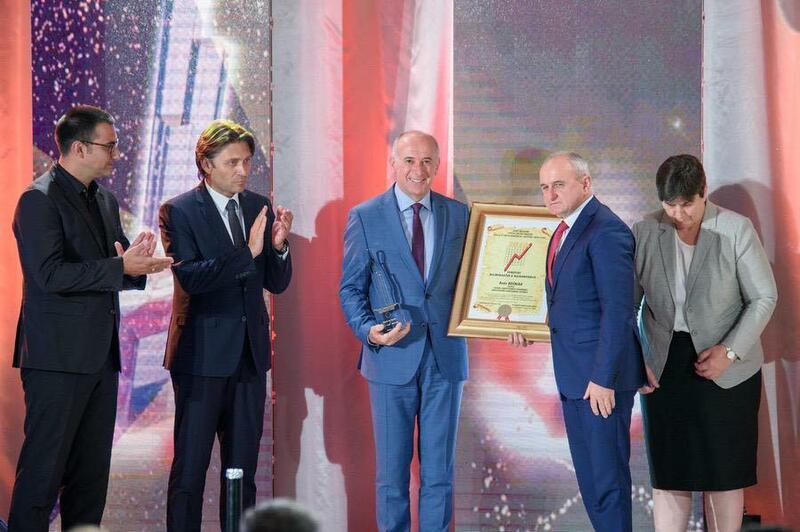 The European BEST MINISTER in 2018 from Bosnia and Herzegovina is a great Minister for Economic Relations and Trade in the Council of Ministers of B&H, MIRKO SAROVIC, a politician who distinguished himself by his work and the results of his work. Mr. Mirko Sarovic is spreading positive energy with his work and behavior, he is the most popular minister in the nation, literally in all parts of Bosnia and Herzegovina, and his activities have initiated the increase of exports to the Republic of Turkey, the Russian Federation and the countries of the European Union. From the country that is a member of the EU, the best minister was declared Mr. ZDRAVKO MARIC, Minister of Finance from Croatia. He designed and spent many financial reforms that contributed to the reduction of the budget deficit and public debt, and for the first time in the history Croatia's credit rating improved. 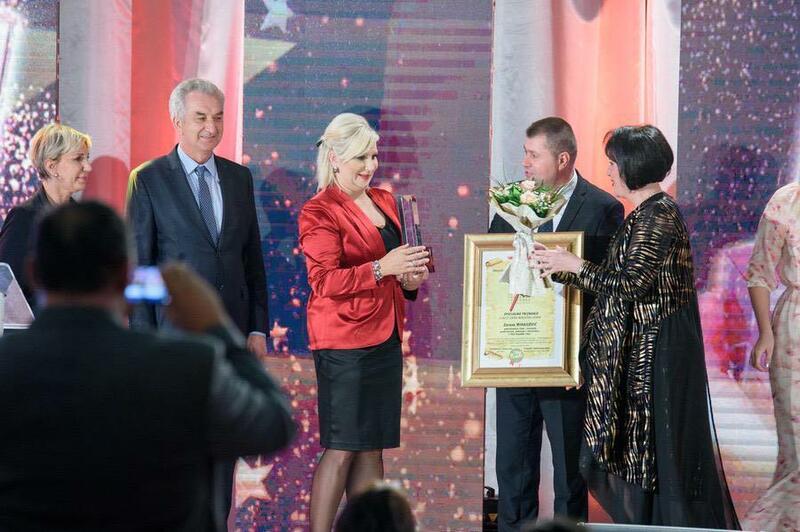 The award was given on his behalf to the Minister of Croatia, Her Excellency Nives Tiganj, because Minister Maric had to go on a business trip. And from the parliamentarians who deserved this high prize our Jury decided for Mr. JAVANSHIR FEYZYYEV, an extremely successful member of the Parliament of Azerbaijan. He is the doctor and scientist, author of several published books, a member of the Medical Council of Azerbaijan and a long-standing successful member of the Parliament of his country. 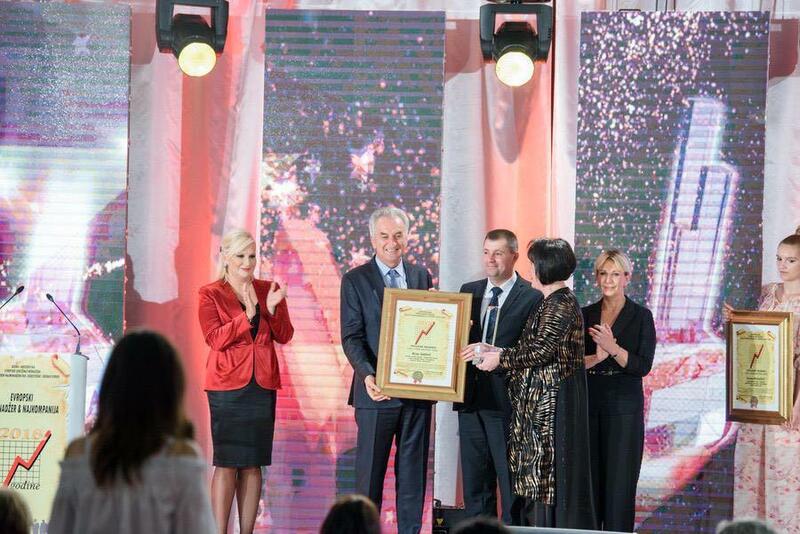 The European award for mayors, after Zagreb, Ljubljana, Pécs in Hungary, Lublin in Poland and other cities, was given this year to an excellent mayor from Austria. That's magister SIEGFRIED NAGL, the mayor of Graz, the second largest city in Austria, with close to 700.000 inhabitants. Graz is today the city with the fastest growing economy in Austria. Known as the city of students and universities, with over 60 000 students each year, a city of history and museums, landscaped parks, promenades, sports centers, resolved roads, city of festival and culture. What is important for us from B&H and the Region is that Mr. Nagl respects, appreciates and helps a large number of citizens from these areas living in Graz. 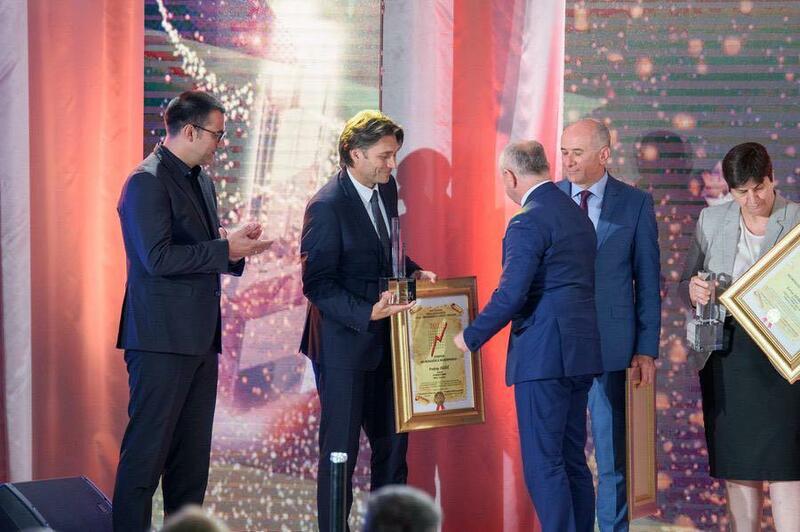 Due to the City Council session, Magistrate Siegfried Nagl could not be in Sarajevo, and the award was taken on his behalf by the Ambassador of Austria to B&H, NJ. E. Martin Pammer. 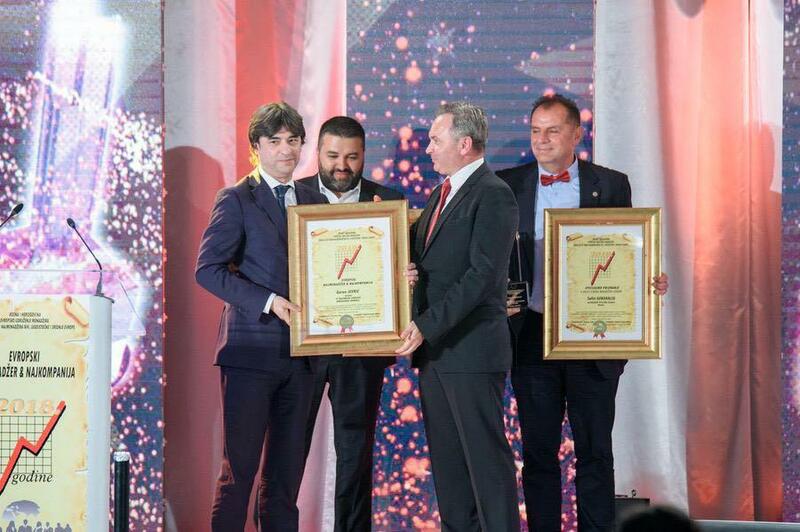 In the category of business associations, the award for the best business chamber went to the president of the Kosovo Chamber, the PKK, Mr SAFET GERXHALIU. The Kosovo Chamber of Commerce is an independent organization, without any political influence, organized and operates with the aim of improving the market economy, entrepreneurship and raising competition among its members. Mr Safet Gerxhaliu is the leader of the best European Chamber of Commerce and the leader among the leaders. 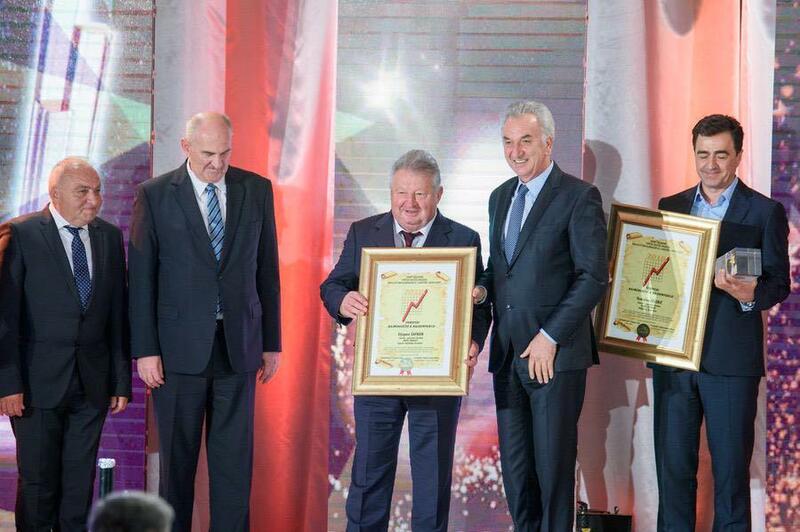 Mr. MIRZA USTAMUJIC, Chairman of the Board of Directors and General Manager of the Polish company ASSCO SEE for Bosnia and Herzegovina, was awarded the European Top Manager award. Asseco Group from Poland is the sixth largest IT corporation in Europe, present in more than 50 countries of the world, with more than 20,000 employees. 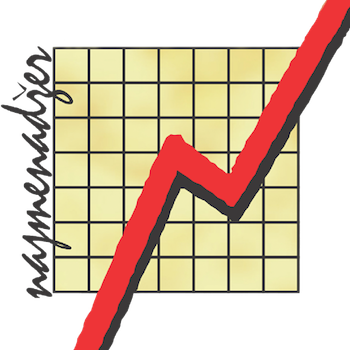 Mr. Mirza Ustamujic is a manager of a new era, a manager of the future and has been recording the best business results in his company for two years in a row. 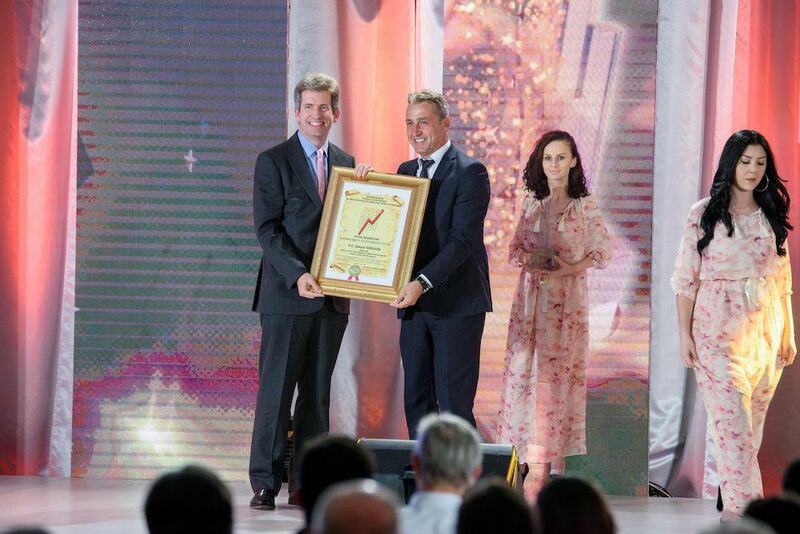 In the category of Public Enterprises the Jury has elected the JP Regionalni vodovod (Regional Water Supply Company) of the Montenegrin Coast and Mr. GORAN JEVRIC as winners of this year's high prize. This remarkable young manager, Director of Public Enterprise "Regional Water Supply" managed to solve the shortages of water on the Adriatic with his team. Water is a strategic resource of Montenegro, and the regional water supply system has entered the family of the European Association of Waterworks. 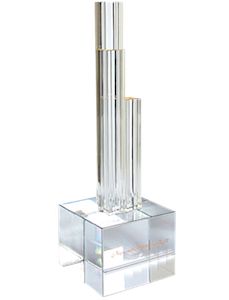 Our jury gives special awards each year in the field of media and culture. Media awards go to those who inform truthfully and honestly, for those from a culture that captivate the hearts of the audience and critics only with their work and artistic sensibility. 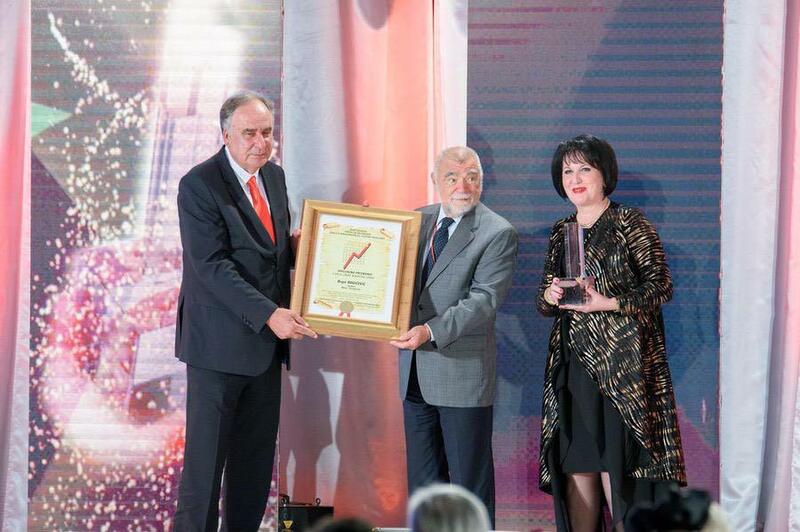 In the field of acting and artistic creativity, the award went this year to the best actor, MILUTIN MIMA KARADZIC, an artist from Montenegro, a man who is known for numerous roles that is impossible to list: since the year 1981, then the popular series 7 sekretara SKOJ-a, then Igmanski mars, Davitelj protiv davitelja, Sivi dom, Tesne koaa, Zikina dinastija, Bolji zivot, Policajac s Petlovog brda, Hajde da se volimo, until the newer Montevideo, Bog te video and Biseri Bojane. Mima is outstanding in all roles, knows how to make us laugh and cry, his roles are timeless and he certainly deserves this award. According to the evaluation of our Jury, there is is definitely no better television then N1 and therefore for the third time this double award went to the Regional N1 Television. N1 is an informative service that allows millions of audiences to keep track of news, at the moment when they happen. Mr. BRENT SADLER, who came from Luxembourg and is the President of the Editorial Council of the N1 Television, received the N1 TV Award. He is also a multi-award-winning CNN reporter. The best journalist, editor and director of the year in the media for 2018 is director of the N1 TV program for B&H, Mr AMIR ZUKIC! Mr. ZUKIC is an exceptional journalist and personality whose TV shows cannot leave anyone indifferent. He knows how to ask the right questions, he can talk about taboo topics and he is always a fearles fighter for the truth, principles and protections of universal human values. 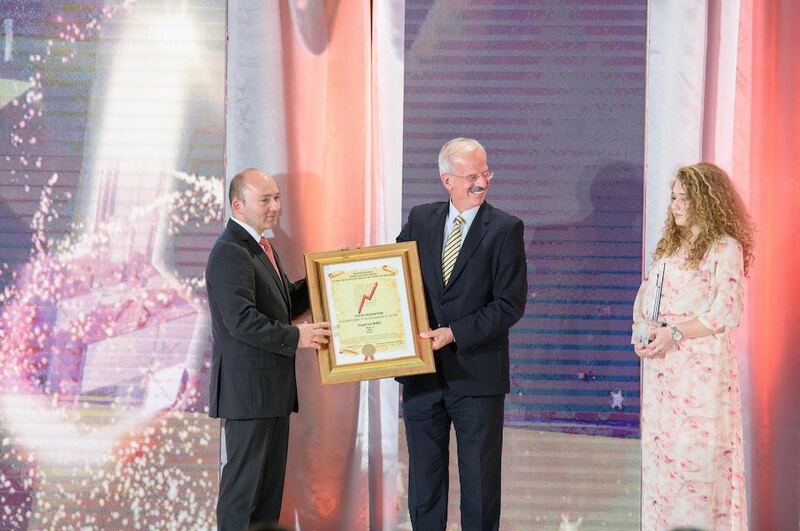 The winner of the Health Care Award is Mr. RADE BOSNJAK from ZZO (Health Insurance Institute) HNZ / Canton from Mostar. They have support in all major municipalities of the Canton. They enforce the law on health insurance and protection for 152,000 insured persons. They have also introduced family medicine for all insured persons, and the only ones in the Region are paying for the principal and the quality of their performance. They are unique in the integrated health system. The winner from Montenegro for this area is Ms. ZORICA KOVACEVIC, Director of the Clinical Center of Montenegro from Podgorica. 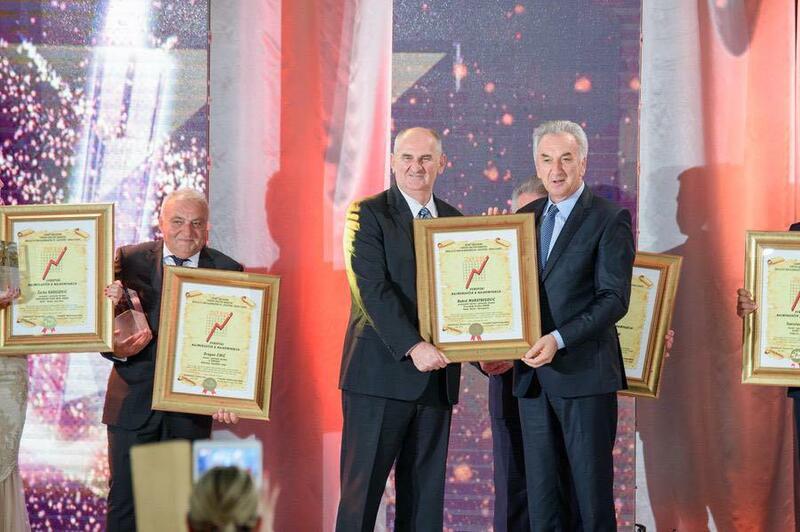 Montenegrin health care is investing less than anywhere in the region, but the efforts and perseverance of the director Kovacevic succeed in achieving excellent results. The Clinical Center of Montenegro, thanks to the director Kovacevic, is doing a great job, regardless of the overall environment and conditions. 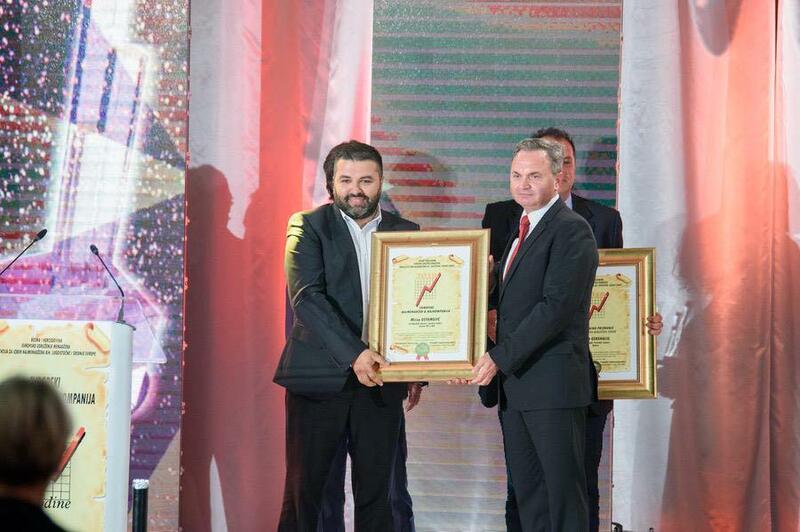 Mr. PREDRAG JELUSIC and JP MORSKO DOBRO MONTENEGRO are the winners of the award. It is a Public Enterprise for the Management of the Jadran Sea Coast of Montenegro with headquarters in Budva. The sea well represents the most important economic potential of Montenegro and it is entrusted to this company that has achieved exceptional results in the work, contracting, transferring of beaches, bathing areas, parts of the coast and aqua space, location for setting up temporary facilities and terraces in the seashore zone. 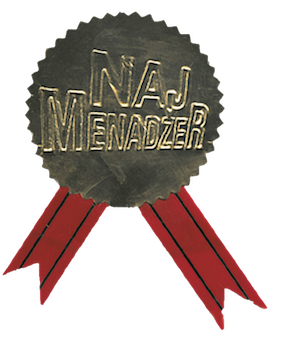 For marketing this year's award goes to Mr. NEMANJA KNEZEVIC, Marketing Director of company Zlatiborac, Belgrade, Serbia. The company is well known for the production of healthy and delicious food distributed in Bosnia and Herzegovina, Montenegro, Macedonia, Russia, Belarus, Sweden and other countries. It is established in 1992, succeeds in making its meat delicacies and other quality products by the original recipe from the village of Mackat from Zlatibor. They won the market with an excellent marketing campaign led by leader Mr Predrag Jelusic. Everything is perfectly branded and packaged in the most modern product, based on family tradition and recipe. 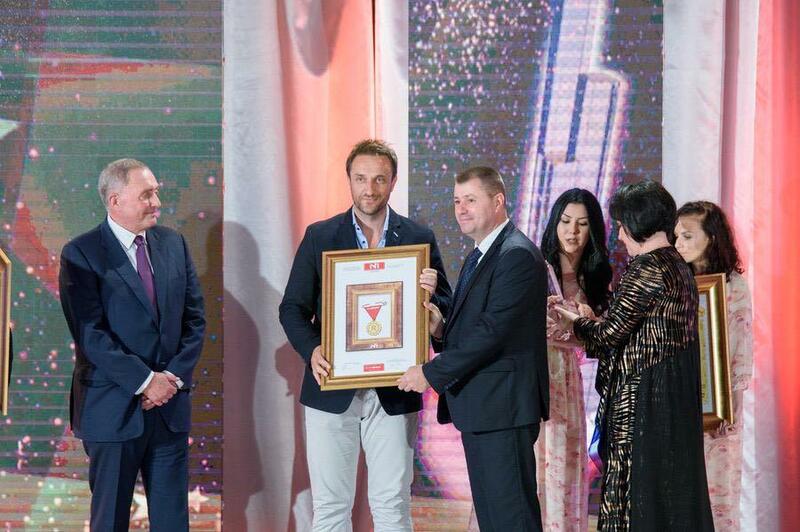 The company Zlatiborac is also the winner of the award Best BRAND. Long time ago these awards were given to retired people, as a gratitude for what they did but our winners are managers in full life force. It's common for all of them that they started from scratch! The jury decided to award this year 6 super-successful laureates. And this is the definitive record for this category of prizes, where it is usually easy to separate an individual. Mr. TOMISLAV CELEBIC, owner and president of the company CELEBIC GRUPA, Podgorica, Montenegro; The group under this name started business as a small construction company, and it grew into a giant. It built imposing objects for various purposes, opened a company in Ljubljana, Slovenia, and annually receives a revenue of 40 million euros. Mr. CELEBIC is satisfied with the current achievements of the company under its roof. 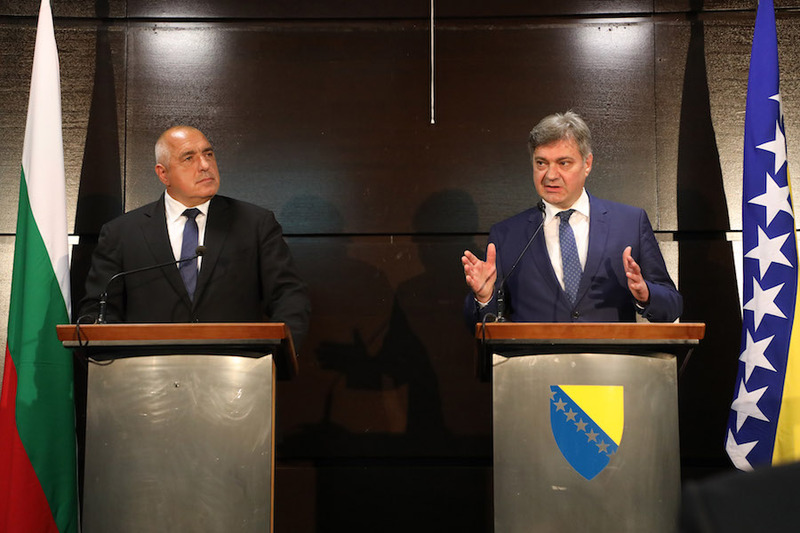 He nevertheless believes that "the group's capabilities are even greater on the Montenegrin market, in the region and in the European Union". Mr. STJEPAN SAFRAN and Metal product from Zagreb, Croatia, a man who has 50 years of experience and is excellent in the production of electrical equipment. He started at the age of 22 with just one garage and now has 250 employees. The most important job for company is their electrical equipment. It exports 85 percent of production and has about 6500 products. They have machine processing, tools, tool design and its specialty is casting non-ferrous metals. Mr. DRAGAN CIRIC, General Manager of D-COMPANY from Babusnica, Republic of Serbia started to work as a car mechanic and today, this persistent and capable man is a prominent industrialist from the south of Serbia. Company exports to European countries, Canada, America, Mexico, Brazil and Argentina. The basic products are tools for the rubber industry and they started to work the hydro power plants. The company successfully cooperates with MICHELIN and a Norwegian partner (hydroelectric power station). Mr. ZARKO RADULOVIC with his Montenegro Stars Company and Hotel Splendid are at the very top of the best hotel facilities in South East and Central Europe. Mr Radulovic, co-owner and general manager of MONTENEGRO STARS HOTEL GROUP in Becici-Budva, Montenegro, established in 2003, is a true brand of tourism and tourism industry of Montenegro. There are three hotels within this company: SPLENDID CONFERENCE & SPA RESORT, 5 stars, 4 stars MONTENEGRO BEACH RESORT and 4 stars BLUE STAR HOTEL. They are doing a great deal of business. Mr Zarko RADULOVIC is the famous name in this branch in this Region and beyond. About 130 millions EURO was invested in the modernization and construction of the hotel (SPLENDID) in the past years. In this group is also Mr. MIHAJLO MIHAJLOVSKI and company Vatrostalna from Skopje, Macedonia. VATROSTALNA performs the most jobs in the countries of the region, because its quality is unprecedented and they always respect the established deadlines. Mr Mihajlovski is also the head of the SEHA Handball League since the very beginning, and he also get a high prize for sport! Mr. Mihajlovski went to Sarajevo, but he got sick and had to return to Skopje, and his award will be delivered to him later. Mr. DJAHID MURATBEGOVIC, General Manager of PD IGMAN from Konjic, Bosnia and Herzegovina, is among the best businessmen in the country. He leads PD IGMAN from Konjic, leader company of the ammunition manufacturing dedicated industry in the wider region for 15 years. He is largely responsible for the success of this company. It had a record income of 120 million KM last year, while the plan for 2018 increased by two percent. Company Igman has 1.100 employees and exports in 50 countries of the world. A new line of pistol ammunition will be installed by the and of 2018. Mr. ANDREJ RIBIC is the general manager of Elektro company from Ljubljana, Slovenija. It is one of the largest electricity distribution companies in Slovenia and covers one third of the country's territory. They employ 850 workers this year as well as about 80 million revenues. Each year this company is raising its own record and now they are are planning new investments of about 300 million of Euros in the coming decade. Mr. ZLATKO SIMONOVSKI is the General Manager and Chairman of the Board of Directors of AD FAKOM from Skopje, Macedonia. A doctor of economic sciences and author of two books, he is considered to be the leading businessmen in the Republic of Macedonia. The company Facom has been operating continuously since 1960 and its annual output is 35,000 tons of various steel structures. They export about 85 percent of production abroad and are leaders in the metal processing industry with respectable total revenue. Mr MARKUS STRASSER STOCKL is the owner of several Austrian companies. They started with the production of cables and cable equipment, and in recent years they have been trying to develop the production of mechatronics in BiH. They expanded the production of metal and construction, and he also significantly invested in the plants for the construction of electronic printed boards. His companies are partners with big companies such as Bosch, Deutsche Telecom and competitors in the region. Mr. NJAZI MUSLIU, the owner of the prestigious company Eurometal from Kosovo is a successful entrepreneur whose business has been operating since 1993. The main products are galvanized sheet metal, various metal structures, all supporting elements from pre-painted / galvanized sheets and so on. They own their own new machines and facilities, as well as good trained staff. 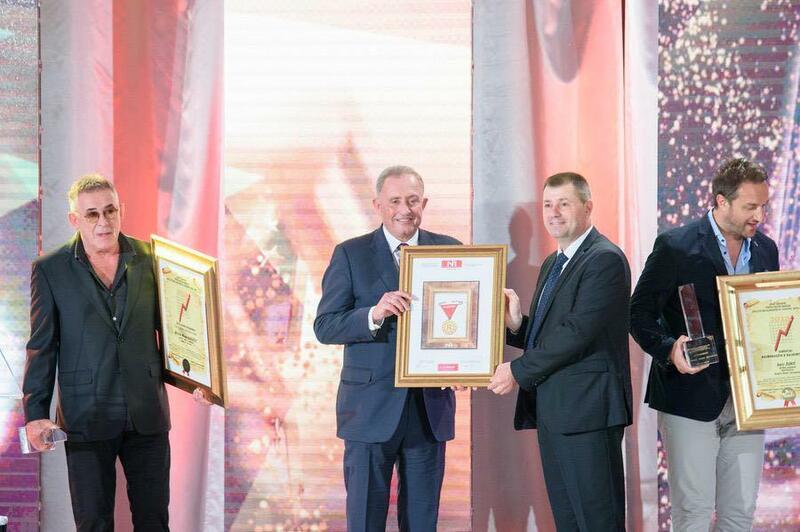 Among the managers of the Decade is Mr. GORAN LEKOVIC, director and owner of A3 Group from Bar - Montenegro. This exceptional company builds and works on the Riviera of Bar. Mr. Lekovic is the owner of the Autocentre and the construction company "A3 Team", as well as several high-class catering and hotels facilities, such as the Sky Fort complex, the apart-hotels "Sea Fort" and "Nautilus", as well as the hotel "Porto Sole ", all categorized with 4 stars. Lekovic's exceptional manager's motto is that "quality is the best business plan". 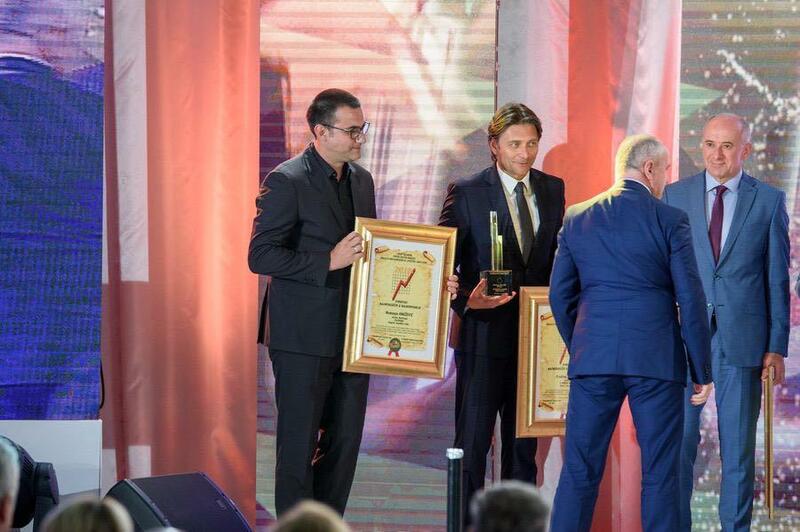 The winners of these 2 awards The Best Manager and the Company for the new millennium are from BiH and Serbia. Dr EMIR CABRIC, General Manager of the Public Health Institution Clinic with the daily hospital from Matuzici, Doboj Jug, Bosnia and Herzegovina. Although young, he receives a high prize for a new millennium, lifestyle and also an award "Best Brand for an Eye Clinic in the Region". They are recognizable by ophthalmology and do everything about the middle-eye diseases, just as they do in the most developed countries. They acquired the most modern apparatus for cataract operations, and otherwise they have top-notch appliances like no one in the territory of B&H have. They particularly emphasize the attitude towards patients. Mr. ANA JORDANOVA, young lady who is owner and creative director of Winery STOBI from Gradsko, Macedonia. Stobi is the European the most complete company and this young girl is the top manager. Winery Stobi is 10 years old and started as first winery with its own winegrowers, which now are about 600 hectares. They produce about 4.5 million liters of wine. Wine STOBI is sold in around 20 foreign markets and is the largest exporter outside the region of Macedonia. The export from America to China. Wine ”Stobi” is also the winner of the BREND VINO Award 2018 by the decision of our Jury. Ms. IRENA JAKIMOVSKA is co-owner and general manager of company COMFY ANGEL in Prilep from Macedonia. This company is 14 years old and is specialized in the production of household textiles, like cover, pillow, blankets linens, quilts etc. It exports 99 percent of products all across Europe. Now they want to focus on the Western Balkans market. They also have their own packaging for their products. 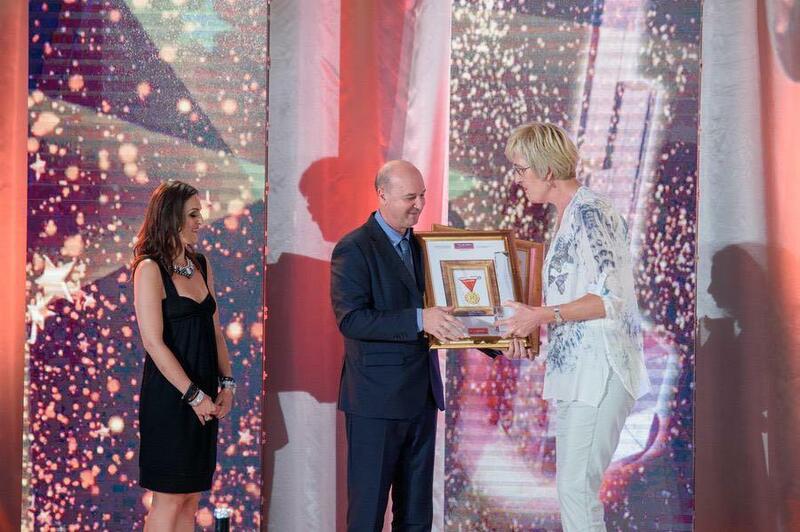 The award was received by Zlatka Jakimovska, mother of Irena. Mr. KRSTO NIKLANOVIC, the owner and director of the Catering Company Niklanovic, within is the best restaurant Jadran, located in Budva, Montenegro. 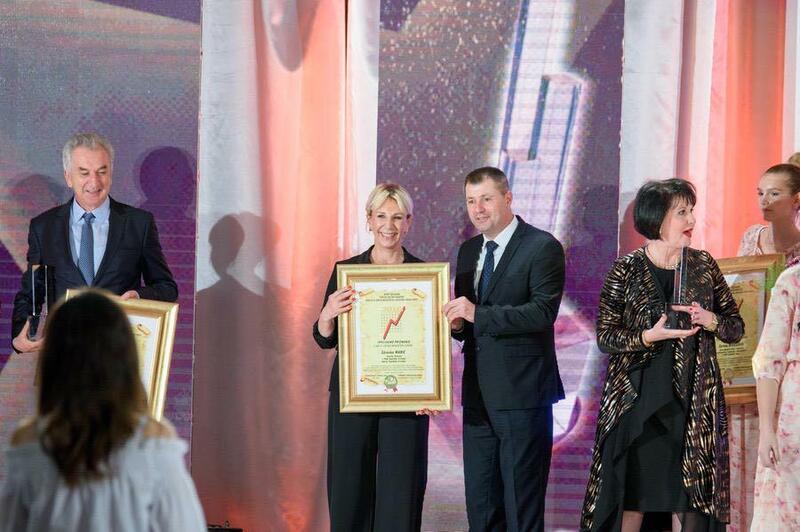 ”Jadran” is also the winner of the European BRAND restaurant for 2018. The Restaurant is a family business started by his parents, and today exceeds traffic of few million Euros. Everything is dedicated to guests and their pleasures, so the restaurant Jadran is the most visited restaurant in Budva. Mr. HUSNIJA HAJDARPASIC, owner of several companies from Ljubljana, Republic of Slovenia. His four companies are an example of how in business - when peaple know and want - excellent results can be achieved. These companies are SEAM, DAMAJANTI, AMONTE and PAN AGRA. Two of them are engaged in catering and trade, one in automotive industry, and one with drying and freezing of fruits and vegetables. This family company will soon have a modern car wash, the largest in Europe, and a fruit and vegetable dryer, among the largest in the region. Mr. BEDRI KASUMI is the owner and general manager of PESTOVA SHPK, located in the village of Vushtrri, 30 minutes from Pristina, Kosovo. Since its inception in 1999, Pestova has gone a long way providing all possible standards and are unparalleled in the production of potatoes and potato products, known under the brand VIPA. Therefore, a company that is an excellent manufacturer and exclusive representative of the Dutch company Agrico, and the extraordinary manager Bedri Kasumi, the owner of the company, are the European winners for 2018. 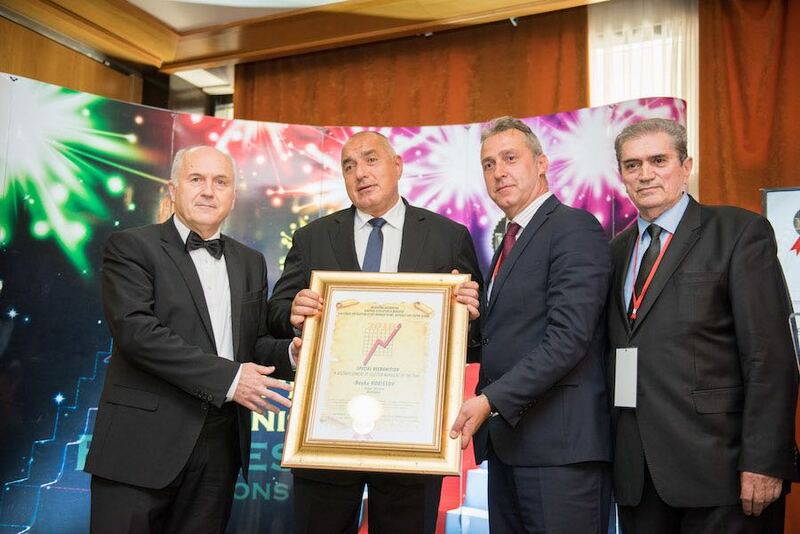 MEZON company from Danilovgrad, Montenegro, owned by Radomir Raja Kovacevic, is the leader in the construction and installation of equipment in the electroporation in the region! 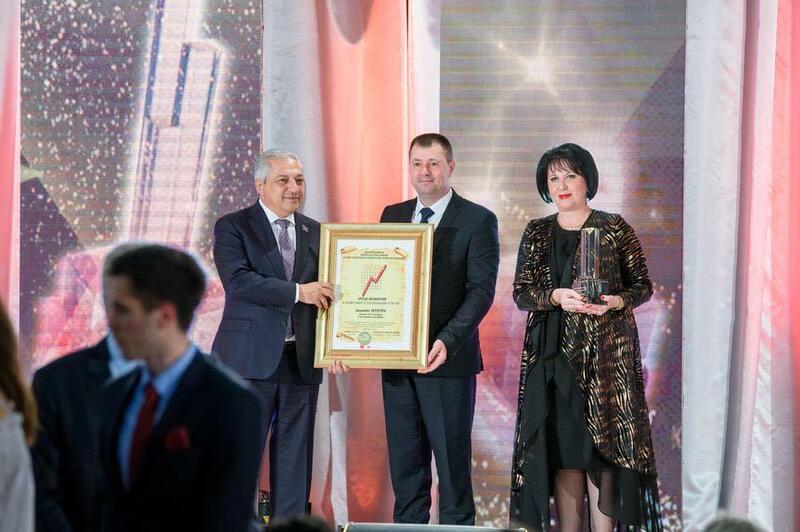 Mezon is the winner of the Best Company award in 2018 in the industry. The company was founded in 1992 for the execution of electric power plants and has all the necessary licenses. The company has proven itself on infrastructure facilities, NN networks, power lines, tunnel installation, grounding, electrical installations ... MEZON is one of the leading companies in that kind of activity on the Montenegrin market .. 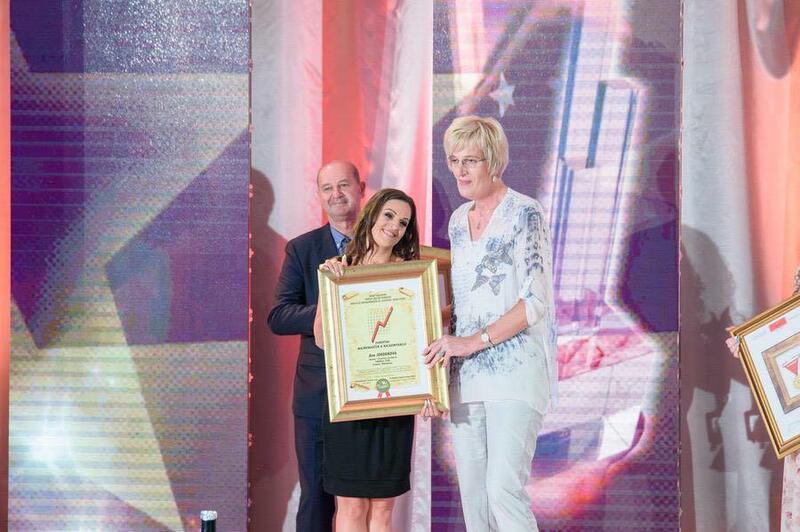 The award was taken by Ms. Marija Jovovic. Mr. ALIYEV KAMIL ALI OGLU is the executive director of an exceptional construction company Azvirt from Azerbaijan. The company is a giant in the execution of works and road projects, established in 1995 as an Azerbaijani-German joint venture company, which later became the AZVIRT LLC. It is definitely the largest company in Azerbaijan, when it comes to construction of roads, and it deals with construction works, railroads, roads, runways, etc. They also have branches in other countries, and one of them is in Belgrade. 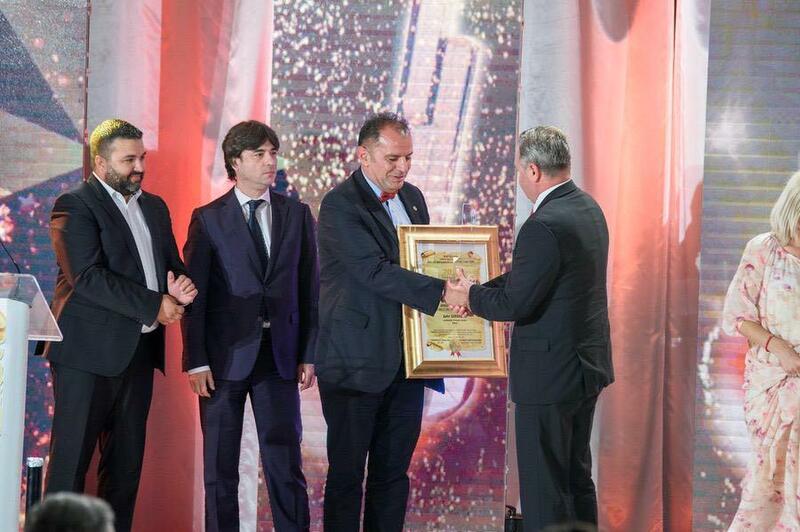 On behalf of the company, the award was received by the European director of Azvirt LLC, Mr. Murat Turkoglu. Mr. BORAT CEH is co-owner and general manager of the company Labena from Ljubljana, Slovenia. They started as advocates of the world's manufacturers of pharmacy and nutrition, added the medicine segment and opened a new laboratory in Ljubljana, which is doing 70 percent of drug analysis for Western Europe and America. They get samples from around the world by making the best synergy of equipment sales and laboratory research. They are also getting new projects from Europe all the time. Mr. GLIGOR CVETANOV is the executive director of MAKPROGRES company from Vitnica, Macedonia. This company is engaged in the production of agricultural and confectionery products. Their factory in Skopje produces healthy food under the brand ”Natura” , while the factory in Prilep produces traditional delicacies. The third factory produces their packaging. Their main brand is ”Vincinni” which is exported to 55 countries of the world. Mr. MILORAD KRSTIC is the owner and general manager of Holding Krstic from Germany. In B&H he owns company ”Sava” that processes all assortments of fruits and vegetables and their products, such as spreads and juices These products can be found everywhere in the world, because it does not use any gram of chemical, but it's 100 percent natural. They export over 90 percent of products and even have a lack of raw materials and stuff, while the demand for products grows with every day. Mr. Krstic is also the author of several literary works. Mr. SASA VLAISAVLJEVIC is the General Manager of Airport Nikola Tesla AD from Belgrade, Serbia. In 2017 airport had about 5.5 million passengers and profit of 27, 6 million Euros. They invest their own resources, without creditors, into development and technology, and expect this year to be the best year ever. They have improved all types of services, cargo and charter transport services are steadily increasing and this is the only airport in this part of Europe with direct lines to America, China and other distant destinations. 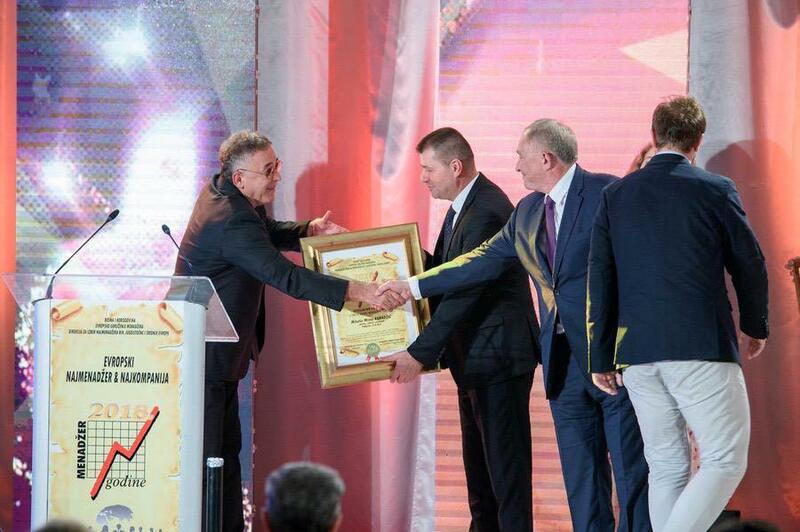 That's why Nikola Tesla Airport is also the winner of special award ”European BRAND Airport". Mr. MARKO DROBNIC is the President of the Management Board of TALUM DD from Kidricevo, Slovenia. This company is engaged in the production of aluminum parts, as well as various metal products. They also sell the expertise of their company, and this year they certainly expect about 350 million revenues. Their growth is very fast and intense and they expect to become a leading company in this kind of production in a couple of years. Our sincere congratulations to all laureates of the Regional selection of the best for 2018! If you want to see more photos from this Ceremony, search in the Menu for albums for individual events.